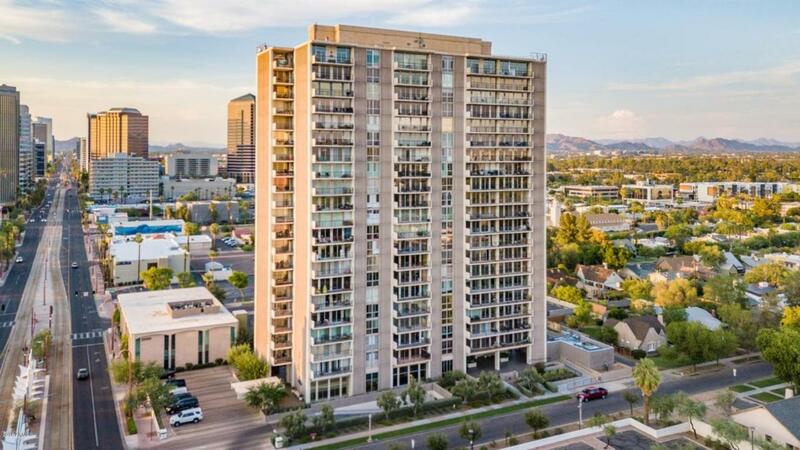 Your new home is move-in ready and waiting at the luxury highrise community, Regency on Central, with 2 large bedrooms and 1.75 bathrooms in the heart the Encanto Distric, Midtown Phoenix, 85004. 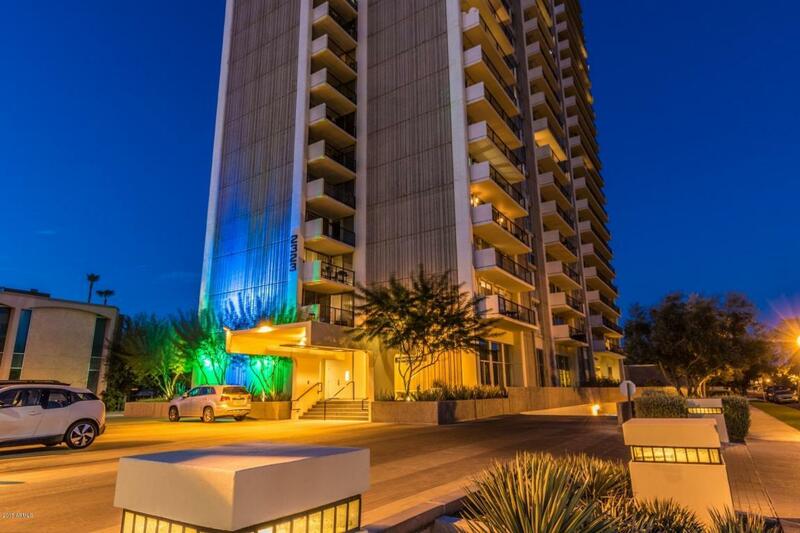 Minutes to downtown entertainment, dining, ASU Medical, shopping, and the light-rail practically at your doorstep. 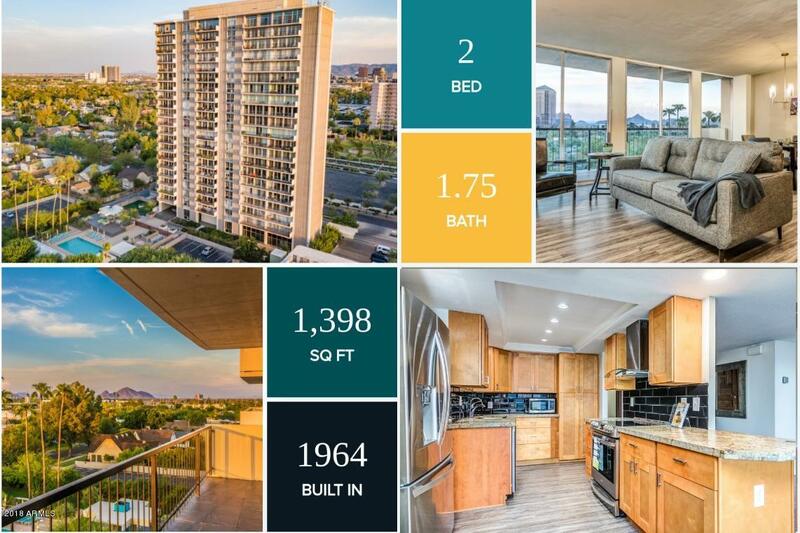 This beautifully renovated condo offers new luxury wood-style flooring, new paint, freshly upgraded bathrooms, and more! Enjoy breathtaking city skyline and pool views from north-facing covered balcony and nearly all rooms. Gourmet kitchen features a commercial hood, breakfast bar, stainless appliances, plenty of storage, premium cabinetry and subway-tiled backsplash. views. 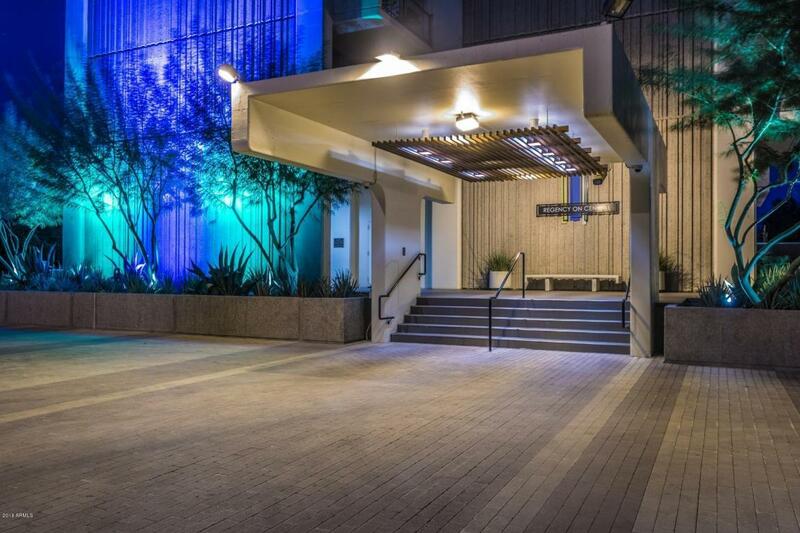 Enjoy friendly 24/7 door staff and security, heated pool, spa, gym, dog park and more! Partially furnished.Partially furnished unit. Can provide additional furnishing package at a negotiated fee. Full inventory provided at move-in. Premium building ammenities include heated spa and pool, 2 covered pool cabanas, 2 BBQ stations and eating areas, gym, commnity room with grand piano and bar, 24/ 7 securit/door service with friendly staff, concierge package service, dog park, online resident portal, and so much more! 1 Secure Garage Space and 1 Storage unit included. Minimum 6 month term. Lease rate based on lease term.